Galit Breen was a classroom and reading teacher for ten years. She has a master’s degree in education and a bachelor’s degree in human development. 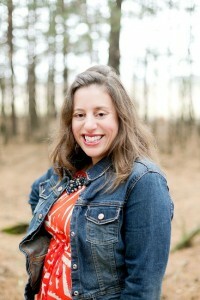 In 2009, she launched a career as a freelance writer entrenched in social media. Since then, her work has been featured in various online magazines including Brain, Child; The Huffington Post; TIME; and xoJane. Galit lives in Minnesota with her husband, three children, and a ridiculously spoiled miniature golden doodle. You can learn more about her by visiting TheseLittleWaves.com. As a tried and true introvert, I’m a constant observer. So I’m inspired by everyday life. What people say to each other, how they react to and look at each other. My husband jokes that at all times he looks around to see what details will end up in my next story! I write in my head way before my fingers hit the keyboard. My stories usually start out as ideas that form while I’m swimming, on a walk, or in the shower. By the time I sit down to write, the basic concepts flow. I tend to write in this way, leave it, and come back to edit a bit later. Read and write a lot. Take chances. Connect with other readers and writers. I chose a hybrid publisher (Booktrope) because, for me, it was the perfect balance of having a say in the details, while being held up by the support of a team. I think book publishing is changing in amazing and exciting ways. Self and hybrid publishing has opened the door for so many talented writers and digital book sales have made books accessible to so many voracious readers. The only sadness I feel about the state of things is how many book stores are closing. Other than that, I truly see only great things.